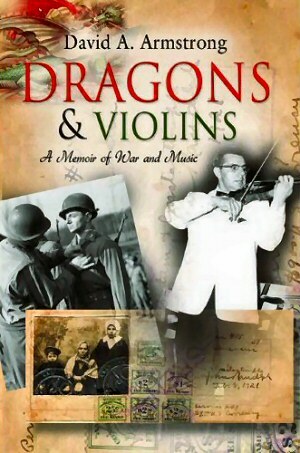 Dragons & Violins is a narrative nonfiction account of the tumultuous early life of George Edgar, who was born in Persia (now Iran) at a time when Turks and Kurds were determinedly carrying out unimaginable violence against Assyrian, Armenian and Pontic Greek Christians. Born Sargis Georges Yadgar, George Edgar's Assyrian family escaped to southern Russia, where they were caught up in the chaos of World War I and the Russian revolution and civil war. They eventually escaped to Constantinople, and finally made their way to Ellis Island and the United States on July 4th, 1921. As a poor immigrant kid surviving the Great Depression in New York, he encountered figures as renowned as violinist Fritz Kreisler, Yankee great Joe Dimaggio, and gangster Dutch Schultz. He married the beautiful "Miss Assyria" of the 1933 Chicago World's Fair, and was barred from participating as a gymnast in the 1936 Olympics because he wasn't a native-born American. But as a lieutenant in the U.S. Army Corps of Engineers in World War II, he helped build dozens of assault bridges in combat at the front lines of the Allies' push from the beaches of Normandy to the outskirts of Berlin. A man who struggled throughout his life to gain the respect of his father, George Edgar, like many immigrant men of his generation, drove himself to succeed at whatever he set his heart on. His singular life unfolded against the backdrop of some of the most consequential events of the first half of the twentieth century. But despite all obstacles, nothing deterred him from his one true dream... to be a violinist. 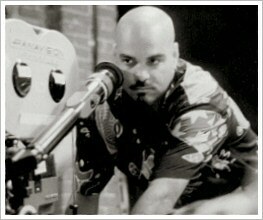 David A. Armstrong is a director and veteran cinematographer in the motion picture industry and currently lives in Los Angeles, California. He is also the grandson of George Edgar and is currently adapting Dragons & Violins into a screenplay and motion picture.